Dream Eater Merry is about Merry, a girl with wicked v-bones. Merry enjoys eating donuts and dreams. Mostly donuts. 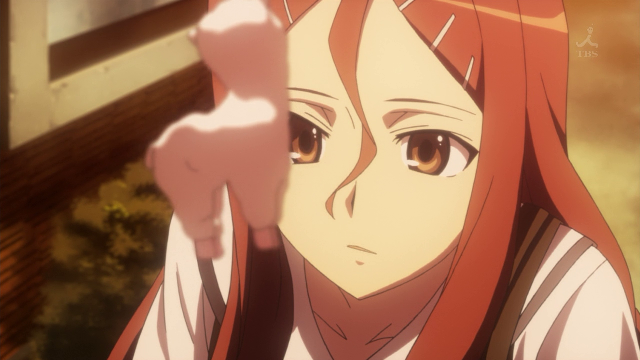 Like most anime, alpacas are a major plot point. 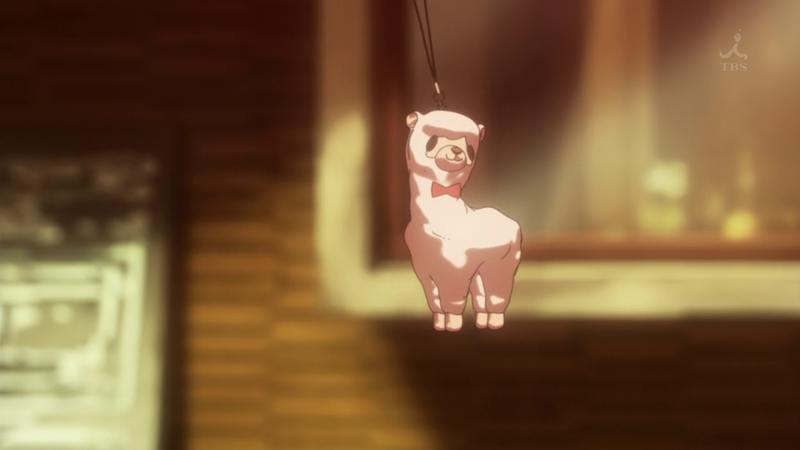 This alpaca charm motivates Merry to eat as many donuts as possible.